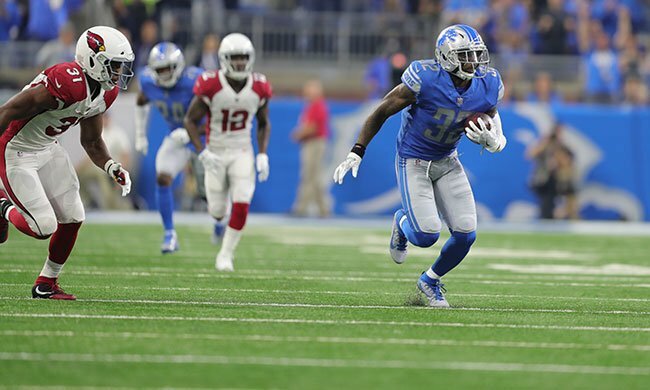 The Cardinals on Sunday got off to a 10-0 lead on the Detroit Lions and seemed to have things well in control. That’s when the defense suddenly forget how to play in the secondary. Matthew Stafford torched the Cards defense for 292 yards and four scores, and the Cards were outscored 26-10 in the second half for an ugly 35-23 loss to open the 2017 season. “I definitely think we showed some good things out there. We just didn’t finish like we should have,” Cards Justin Bethel said after the loss. The Cardinals offense was very up and down, as Carson Palmer was 27 of 48 for 269 yards with three interceptions, one shy of his career high, and threw a 1-yard TD pass to J.J. Nelson in the final minutes. The team also has a huge injury scare as running back David Johnson will have a MRI on Monday for a wrist injury. He may miss a few games, or as one report stated, possibly half the season. ‘Ok’ is not enough to get the job done against a team like the Lions, and it showed on Sunday.